This BX3193 hospitality management assessment starbucks is a famous coffee chain and leader in the coffee business over the world. It is a distinguished brand in hospitality industry and as a leader has set an example for the people and other companies to follow. Over the period of last 20 years company has entered into many countries and has done amazingly well. 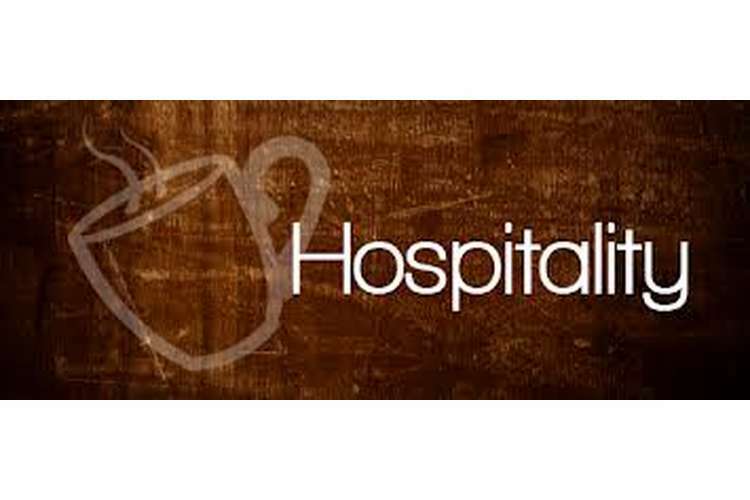 This is the reason it has been considered as a master piece of case study in Hospitality industry. They can then ensure that all messages globally take account of these characteristics, so that all cultures are respected. For example, when Starbucks entered China, it added green tea latte to its menu to tempt people in this tea-drinking country into its cafes so that they might then try its coffee. Starbucks now sells green tea latte in all its cafes worldwide (Welsh, 2008). The "Wall Street Journal" reported that Starbucks gets about one-tenth the amount of traffic on its corporate site as on its Facebook page. Coca-Cola has about one-eightieth as much traffic. Starbucks, Coca-Cola and numerous other brands that expend enormous funds and energy to attract customers to and engage them on corporate sites have suddenly discovered that it's no longer sufficient just to establish a website. On the new Web, they have to go where the users are (Marques, 2008). Organizations unlike Coca-Cola and Starbucks might think that this lesson doesn't apply to them. The impact of consumerization is, of course, pronounced for these consumer-oriented companies in the context of their consumer-facing presences (Marques, 2008). But every organization must devise a customer experience strategy that spans its website, as well as Facebook, Twitter and whatever channel of interaction will next capture the masses' attention. And the lessons go beyond external portal initiatives for consumer- or customer-oriented organizations. Enterprises in every industry have spent dozens of years and countless millions of dollars trying to engage users, whether they're customers, partners, citizens or employees. They've enticed or bribed end users with rewards for using their portals. They've attempted to compel users to access critical business functions, like payroll and expense reporting, through portals. They've implemented functions like document sharing and collaboration while trying to wrest users' habitual use of email and file servers. Lately, they've added social components like profiles and blogs in an attempt to emulate Facebook's viral growth. These are all worthy efforts, but there's little assurance they'll work. Problems arise when a competitor matches your incentive and restores the market share balance, reducing profits for both of you and setting up a price war (zero-sum game). Also, we know that consumers quickly figure out how to game such systems where offers are delivered based on past purchases. Retailer's like Safeway and Kroger are using their loyalty program data to deliver personalized pricing to shoppers. For example, a savvy consumer figured out that she could get cheaper prices when she alternated buying Starbucks and Dunkin Donuts coffee versus just buying Starbucks exclusively (Welsh, 2008). Is this just another way to deliver promotions more effectively? While discounts are an important part of what motivates shoppers, we see the broader opportunity to deliver many forms of content to a shopper in this scenario that would also constitute value and cannot be easily commoditized. Relevant content and services could be a music download, a recipe, a cleaning tip, a beauty tip or a partner offer. We project the value comes from relevant content that is delivered in a no creepy way, in the right context, that generates long-term loyalty. In the short term, we expect personalized incentives like Me Marketing will create a first-mover advantage for retailers and manufacturers. Bargaining power of customers: It has generally increased over the period of time with huge changes in dynamics of the industry whole gamut of offerings. Bargaining Power of Suppliers: Suppliers of Coffee beans are based out of Africa where political issues have hardened the climate. Threat of New entrant: Although Starbucks as a brand is huge but localised offering and entry has become very easy in the market. Threat of Substitute Product: if one considers whole beverage industry then yes the threat levels are high. Competitive rivalry: Competitive rivalry is huge in the business. Product life Cycle: Product has crossed the growth stage for Starbucks and is now in mature stage for the company. This can be easily visible in revenue numbers which is not witnessing stupendous growth numbers now. MacDonald’s is a famous fast food chain whose specialty have been the burger but over the years company is moved fast in the market and many different eateries are launched across the world. In last 10 years company has aggressively forayed in emerging markets and have established footprints before the growth curve for the market began. One can see markets of Brazil and India where MacDonald’s is now a known and trusted brand. As we have pointed out, there is a lot of complexity that will have to be mastered to have these types of capabilities. It is best attacked on multiple fronts to have the various capabilities. This is largely because a single solution for Me Marketing does not yet exist. Thus, consumer goods manufacturers will have to develop partnering relationships, invest in the right people/processes/technology to sustain the new capability, begin obtaining and understanding a deeper level of loyalty data, obtain predictive modelling expertise to link offers and activities to promotional outcomes, and do all of this in new mobile mechanisms. In contrast, McDonald's has posted a healthy 20% net profit margin for each of the last three years, a trend which is reflected in its three-year weighted ROA of 16% this year. This, coupled with respect from the voting community, nudged McDonald's — by the slimmest of margins, with a composite score only slightly ahead of Amazon's — into the No. 2 slot. Both have leading practices to share with the supply chain community. McDonald's stands out with strong new product launch capabilities, excellence in execution consistency coupled with a recent re-emphasis on a strong customer experience, advanced demand sensing and forecasting capabilities across geographies, and an impressive supplier collaboration framework and philosophy that underpins its "never-stock out" mindset. McDonald's has moved from a system of manual quality measurements for its bakery to a photo analysis system that assesses bun size, shape, colour and sesame seed distribution — automatically adjusting ovens and processes thereby saving thousands of pounds in wasted product per year. Operational technologies are not only consumers of data for process automation, but also valuable sources of data for operational and strategic purposes. Bargaining Power of Suppliers: Suppliers of potato and key raw materials are becoming highly demanding and hence the cost has been escalated for the company. Threat of Substitute Product: Industry dynamics are growing and ever-changing. This is the reason why threat of substitute is very high. Product Life Cycle: Product has presence in growth markets and in mature markets and hence one can attribute major region as emerging markets. The company as a whole is still passing through growth stage. In service industry quality is the main criteria, you main focus should be on quality management. Believe in localisation in products but global view on standards to be followed. Service industry is very critical in survival of most of the countries and it is the organisation which are part of the same which will help them. Corporations should focus on new markets, with local view and then make it presence in the market. We can see example of how McDonalds of how they have done it. With this perspective we would suggest Starbucks to move into emerging markets.